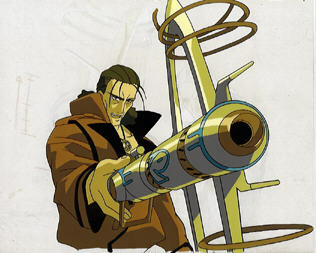 In the anime series, Outlaw Star, Gene Starwind, the main protagonist, uses a weapon called a Caster Gun (see seperate entry on site). The gun's ammunition are shells that have previously prepared spells, and these are discharged by loading them into the gun and pulling the trigger. 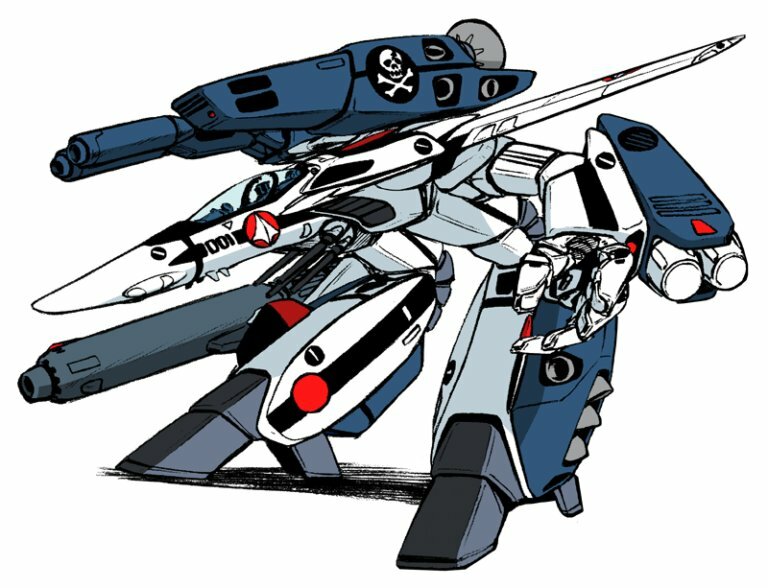 The gun itself has details that look reminiscent of turbines, and these begin to spin to build up a charge as the gun fires, and then the spell is released upon a target for its specific effect. 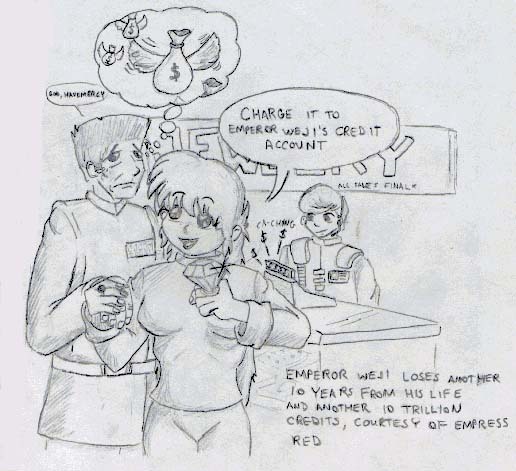 The series also has a pair of antagonists named the McDougall brothers. The older brother, Ronald McDougall, near the end of the series, comes into possession of his own Caster Gun and uses it against Gene in a Caster gunfight. His Caster functions the same as Gene's, loading caster shells and discharging them. The main differences between the two were that while Gene's was shaped like a handgun, Ronald's had a staff-like handle to it. It also had a strange arrangement of rings attached to it. Game Notes: The stats for McDougall's Caster Gun are the same as the other entry for the normal Caster Gun, except as noted with the Caster Barrier Shield. The Caster Barrier nullifies any other caster shells effects when fired at whoever possesses the Caster Barrier on their Caster Gun.